The Nordic Debate Academy was the first in a series of trainings co-ordinated by the Athens EUDC and Thailand WUDC. 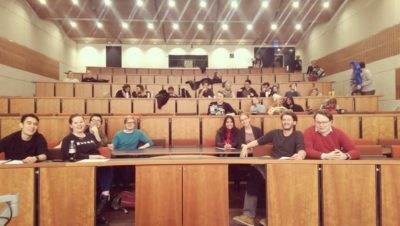 This training was hosted by the Danish Debate Association in conjunction with FINDA – Finnish Debating Association, Stockholm Debate Society, and Lund Debate Society / Lunds Debattsällskap at the Copenhagen Business School. The NDA featured two and a half days of workshops and a four round tournament with a break to finals. 10 countries were represented at the training with debaters coming from the US, Spain, and Serbia, as well as Nordic countries, to participate. 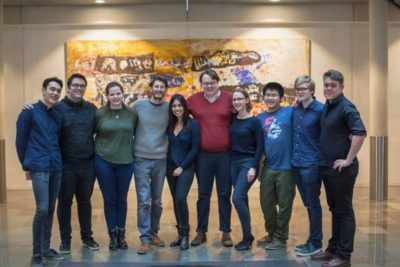 EUDC CAs Sharmila Parmanand (Oxford), Clíodhna Ní Ch (Harvard), Brian Wong (Oxford), Milos Marjanovic (Belgrade), and Benji Kalman (Hebrew) worked with local trainers Milla Huuskonen (Finland), Joona Suhonen (Finland), Jonas No Sjølund (Denmark), Matti Bryder (Sweden), and Johan Allen (Sweden). More information on the Athens EUDC outreach program and trainings is available here. Format introduction, argument introduction, context / argumentation, rebuttal, opening half (role fulfillment / strategies), preparation time & matter generation, closing half (role fulfillment / strategy), and points of information. There were also matter lectures on Economy (first principles), International Relations, and Social Movements. Choosing an extension & case building in 2nd half, Framing & Context, What to do when you know nothing, Adjudication, and Structure within Arguments and Speeches. There were matter lectures on Ethics & Philosophy, Social Movements, International Relations, & Economics. This House Would prefer the narrative of dead soldiers as regrettable losses of life rather than as heroes. In Opening Government was the team of Benji Kalman and Joona Suhonen; in Opening Opposition was the team of Clíodhna Ní Ch and Jonas No Sjølund; in Closing Government was the team of Milla Huuskonen and Sharmila Parmanand; and in Closing Opposition was the team of Milos Marjanovic and Johan Allen. A trainer delivered an analysis of the round to the audience. At the close of the second day of training, debaters participated in a group discussion that covered organizing events and accessing training materials for developing clubs and regions. More information on the training is available here. A new speaker point system featuring five categories for speaker point rankings was debuted, with judges marking both the total speaker point for a speaker and their speaker points in each category (Time Management, Structure, Strategy, Engagement, Argument Construction). These speaker points theoretically were arrived at using the same breadth of scale as the other (general) speaker points. These were not used to determine tab rankings but collected as a supplement to the regular ballots. The tournament champions were Amanda Liang (Rochester) and Nikola Michaylov (Amsterdam, Leiden) in Opening Government, competing as Shitposters. Chairing the final round was Jonas No Sjølund, with Johan Allen, Brian Wong, Cliodhna Ni Ch, and Milos Marjanovic as panelists. The novice champions were Florian Schweitzer and Kai Zhang in Closing Government, competing as Copenhagen to be decided. Chairing the novice final was Joona Suhonen, with Sharmila Parmanand and bexley brown as panelists. The top speaker was Triin Toimetaja with a total of 319 speaker points; the top novice speaker was Mohit Singh with a total of 302 speaker points. The complete tab is available here. We have no friends (Lok Hang Ryan Yuen, Ella Jonninen) was the top team on 8 points and would have broken 3rd in the open break, but was recused from finals because one member of the partnership was not present. Round 1: THBT hookup-focused apps (e.g., Tinder, Grindr, etc) have done more harm than good. Novice Final: THP a World in Which Children are Raised by Communes Rather Than by Traditional Nuclear Families.